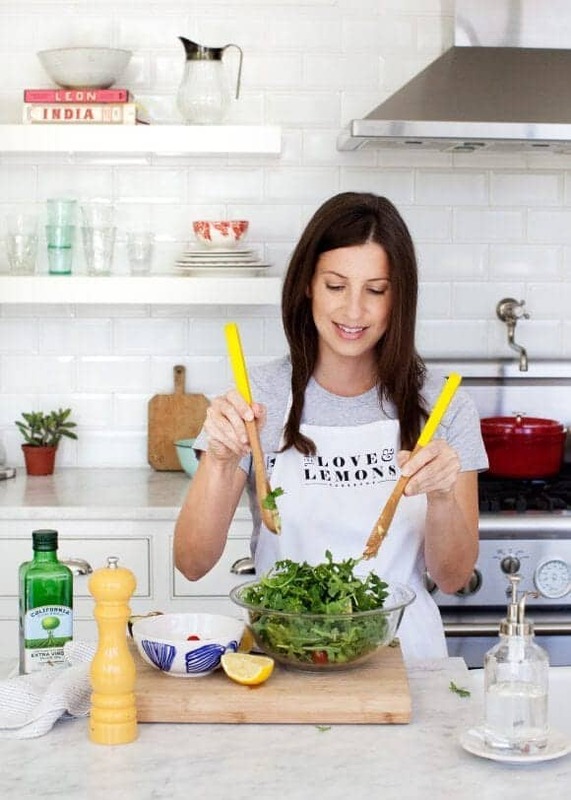 Love & Lemons Apron Giveaway! Aaaaand the gifts continue! T-minus 6 days until the book is out and today we’re giving away aprons! 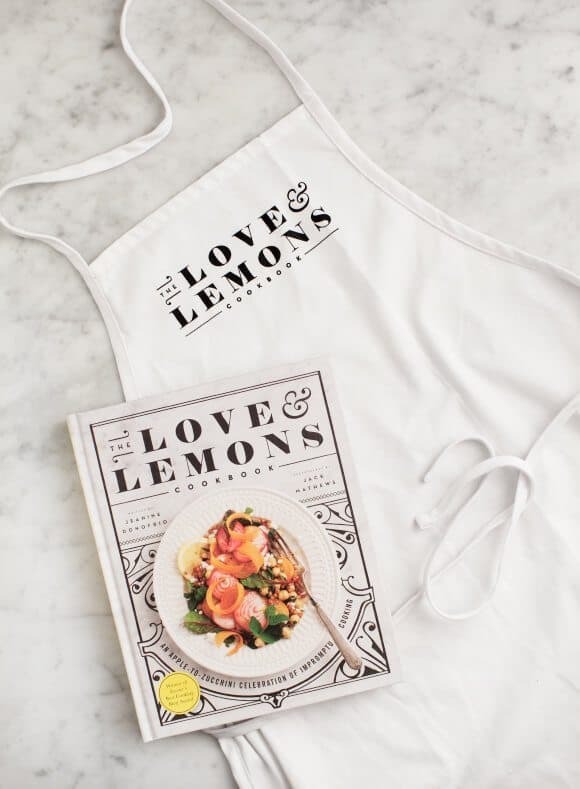 12 lucky readers will win a Love & Lemons apron – pre-order your copy of the book now and fill out THIS FORM to enter! This is our last pre-order gift, so be sure to get your copy and enter before April 1st! If you’ve already pre-ordered, feel free to enter the giveaway, just be sure to fill out the form. Fill out THIS FORM before April 1st to enter the giveaway! Official Rules: 12 winners will be chosen at random. No purchase necessary, open to U.S. and Canadian residents (excluding Quebec), 1 entry per household. @Rabecca: Haha, I was thinking exactly the same. An apron from L&L would definitely be worth it though. Such a cute apron and actually, I’ve been looking for an apron for quite some time now! Thanks for the info. I will check it on Amazon and preorder it. hope i’m lucky enough for the apron hehe. 🙂 The book looks nice. What an amazing blog you have!! I’ve just discovered it but holy wow. I’m already ready for the book! I just found my Love and Lemons cookbook in my mailbox. I preordered it awhile ago and forgot about it. It was a nice little surprise .. then I opened it and life got even better. I have never written a review before but with this book I didn’t even have my coat off and I couldn’t put it down. I love the organization, the pictures, the info, the recipes (and the gluten free modifications!) The blurb about “impatient – I meant Impromptu cooking” made me feel like I was talking to a close friend. Thank you for all of your hard work putting this book together. It’s my new favorite. Viva la spring and for small bites! Happy feasting. Addiction is a series of solitaire games having different layouts of cards from two to king this one is also termed as patience game addiction is maintain the combination of cards and players.